What teacher or parent doesn’t love it when the opportunity to multitask presents itself. The next time you’re heading to get groceries with the kiddos, seize the teachable moment! While compiling ideas for my new book, Let’s Go: Field Trips for Teachers, Homeschoolers and Active Families, a friend and mentor was kind enough to send over a colossal list of teaching suggestions involving shopping trips. Bev is a veteran homeschool mom who now works as a high school paraprofessional. She had so many excellent ways to turn these outings into learning adventures I could not include them all in my book. These are merely the leftovers (pun intended), but worthy of perusing and using. Bev does advise notifying store management if you are bringing in a large group of students or plan to do an extensive written activity like a scavenger hunt. I guess they can get pretty touchy if they think secret shoppers are on the prowl. Nutrition: Define the word nutrition and explore which items are more nutritious. Iceberg lettuce or romaine? Ice cream or frozen yogurt? Pizza or pancakes? Bananas or apples? Scavenger hunt: There are so many possibilities for all ages with a scavenger hunt. Divide up your shopping list, or grab a couple copies of the weekly flier, and time students while they hunt for items. Limit each segment of the hunt to a specific department or aisle so you can keep an eye on everyone. Produce: Research the produce items on your list and learn how to tell if they are fresh and/or ripe. Be mindful of any colorblind students who may struggle with choosing fruits and vegetables based on color, and offer assistance as needed. Filing: Teach students to clip and file coupons by category and expiration date. Teach them to read the fine print and give a student the task of remembering to present the coupons to the cashier. Discuss how in some instances the store brand is a better value than the name brand, even with a coupon. Mapping: If there is a store map available, find a new item using the map. Use this as a chance to teach map reading skills and compass directions. In addition, discuss the store layout. Why do you think the milk is displayed far from the front door when that may often be the only thing you want to buy? Store tour: Call in advance and ask to speak to the store director about a behind-the-scenes tour. Try new things: Buy at least one of every advertised produce item and use each of them in your meal planning for the week. Giving: Ask students to earn money or set aside part of their allowances to buy items for a food bank. Consider non-food items that low-income households need, such as toiletries or laundry detergent. Model this giving spirit yourself as you shop each week. Compare cost versus convenience: Buy and prepare items in different forms, such as canned and dry beans, or whole chickens versus boned. Prepare them both and discuss whether the money saved is worth the extra time and effort. Alphabet game: This is a great idea even if you haven’t thought about making the trip a learning opportunity until you grab a cart. Instruct students to find items beginning with each letter of the alphabet in order. Once you find an “A” such as “apple” move on to “B.” Fun for all ages! Applications: If you have middle school students or older, pick up a job application from customer service. How completely can your student fill out the application without assistance? Smart shopping: Discover where the cheapest items are located on each shelf–up high, down low, on the end caps, or at eye level. Toiletries: Do a price check and see if it costs more to purchase personal care items at the grocery store than it does at a big-box retailer or even online. Is the convenience worth the extra expense? Cleaning aisle: What is the least expensive laundry detergent ? How much cheaper is the store brand toilet bowl cleaner than the name brand? Explain which brands you use and why some items may be worth paying a little bit more for. Ask for help: Under your watchful eye, ask a student to approach a store employee for assistance. Talk about how to recognize employees by their clothing and name tags, as well as some polite phrases to use when interrupting their work. 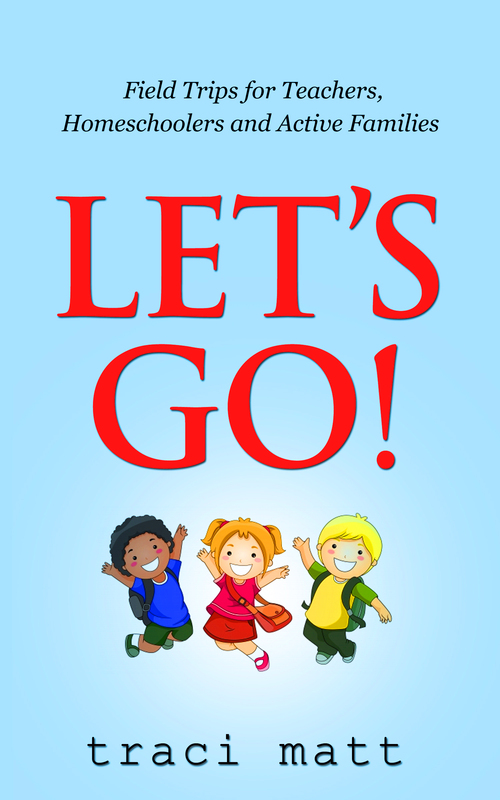 Look for more practical field trip ideas such as these in my new book, Let’s Go, now available at Amazon. Traci Matt is also author of Don’t Waste Your Time Homeschooling: 72 Things I Wish I’d Known. Your book sounds great! I love fieldtrip ideas. Thanks, KT! But please pace yourself! 🙂 My new field trip book will be up on Amazon this weekend and it has lots of similar ideas. Great ideas and learning opportunities! Thanks so much, Robyn. Hope you can use them with your family!